Sans singabera (horn or antlers in reference to the rhizome), L. Zengiber officinale, Ar. zengebīl, al-zenyebil, Fr. 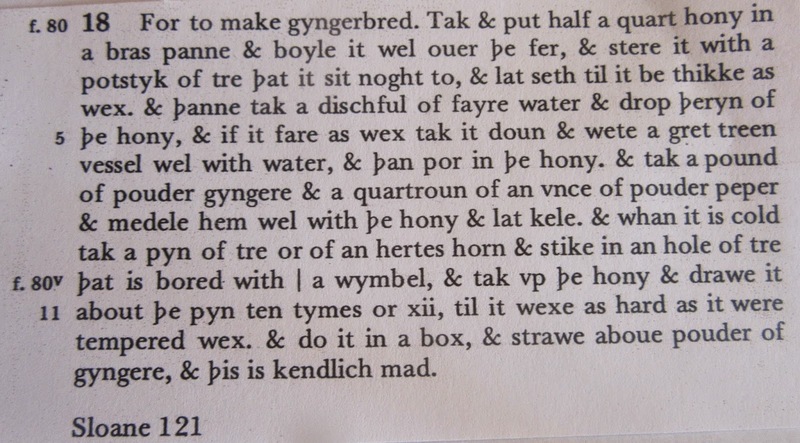 gingembre, MEng gyngynes, Eng. ginger. The origin of the plant is unknown but the Chinese and Indians seem to be the first cultivators. It is believed, on one hand, that the Arabs brought this pungent spice to the Mediterranean from India. The Greeks, however, claim that around 2800 B.C. one of the bakers on the Island of Rhodes produced the first gingerbread. In the Middle Ages, it was worth as much as pepper, i.e. one pound was worth as much as one sheep. The rhizome is the only part of the plant that is used. This is dug up after the plant withers. In the spice trade, it is referred to the as the ‘hand’ as the pieces look like a grotesque palm with stubby fingers. It was first documented in Spain around1250 in Libro de Apoloinio where is it is listed as a drug to season and flavor a dish. 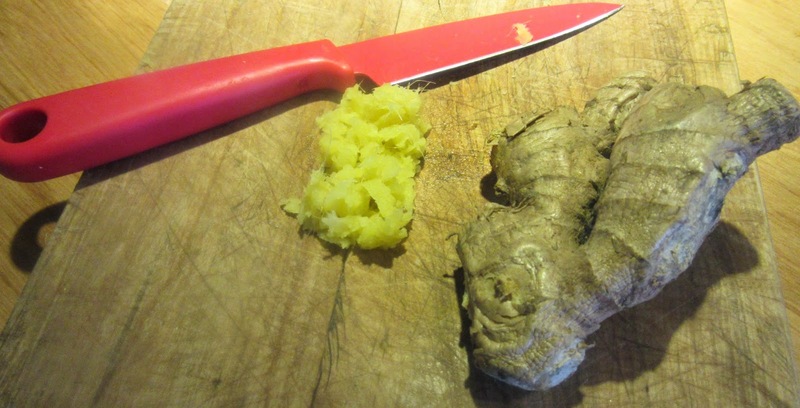 In medieval cookery, it was thought that ginger should be served fresh, crushed or minced. It has been an important ingredient in sausage preparations like salt and pepper. Like pepper, it was used in meat preservation. Further, it is added to fish, chicken and meat dishes and strong sauces, stews and pickles. The green sprouts have been added to salads. In Europe, it has been added to varieties of sweet, cakes biscuits, hams, preserves, pudding and even wine and beer. Ibn Razīn seasons tafâyâ, fish, eggs and poultry with ginger and sprinkles it on top of noodles. Anón Al-Andalus seasons and sprinkles ginger on all kinds of meat, fowl, eggs, bread, syrups and electuaries. Sent Soví calls for it to flavor sauces in particular and several other dishes. Nola uses it in numerous dishes. 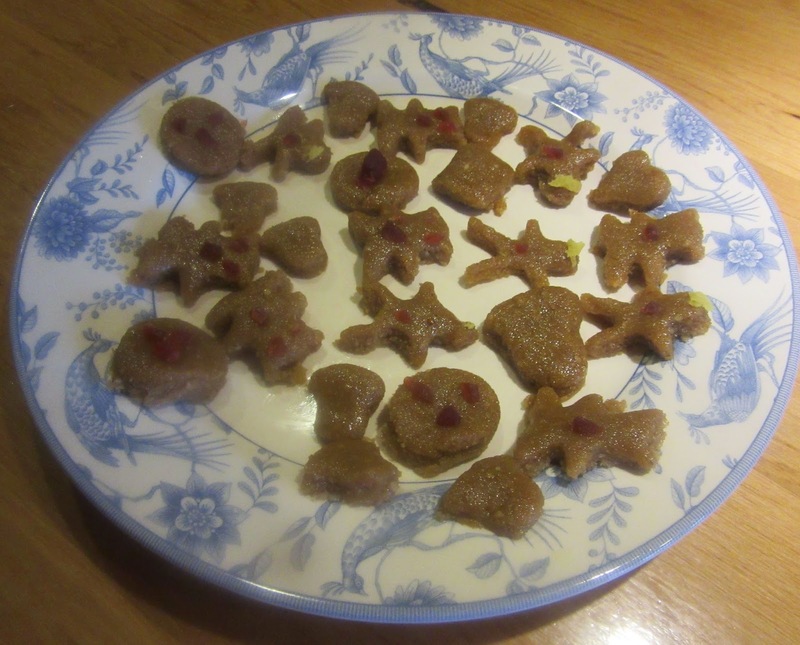 Before the Norman conquest of England, gingerbread was being made there. In the 15th C. their bakers were making breads in various forms like animals and birds. This gave birth to the gingerbread man, signifying a gift of love and esteem to the receiver. It is one of the oldest medicines. The Western world followed Chinese remedies applying it as a calmative, purgative, stimulant and for stomach disorders. 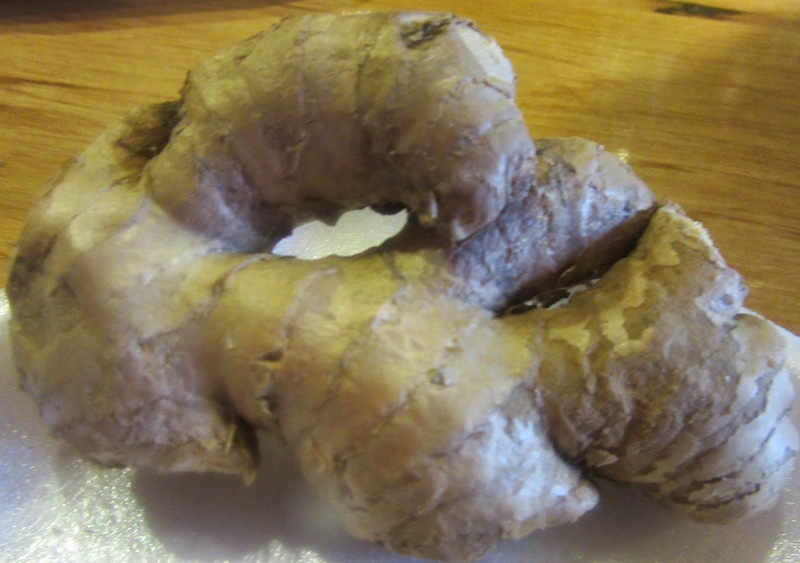 Compresses of ginger were applied to the chest or sinuses to relieve congestion. Tonics of ginger were prepared as stimulants. It was used to cause abortion as it is uterine stimulating. Avicennia, Persian philosopher-physician, 980-1037, claimed it improved the memory. Rhazes (Abū Bakr ar-Rāzī), Arab philosopher-physician 850-923, thought it good for those susceptible to colds. Still it is taken for motion sickness. Bring honey to a boil and skim off scum. Keeping the pan over very low heat, add the spices, adjusting the quantities to suit your taste. Add the food coloring “if you will have it red.” Then slowly beat in the bread crumbs. Add just enough bread to achieve a thick, stiff, well blended mass. Remove from the heat and turn the mixture into wax or parchment paper. Take a rolling pin, grease it, and spread the gingerbread evenly out on a flat surface. Cut into small squares, triangles or shapes. Decorate if desired. Let set. When hard serve.